Sauteed greens are something I could not live without as a child. I think this addiction was induced by my grandmother. I had the privilege of having lunch with my grandparents during many of my elementary school years . The table would be set up and all ready when I got back from school. She made the best “Shaag bhaja“; spinach, amaranth or some kinds which I still have not found out what they are called when translated to English. But there definitely would be one sauteed green I always expected to see during lunch time. What might have started as an effort on her part to make us eat healthy turned into a love affair for me. 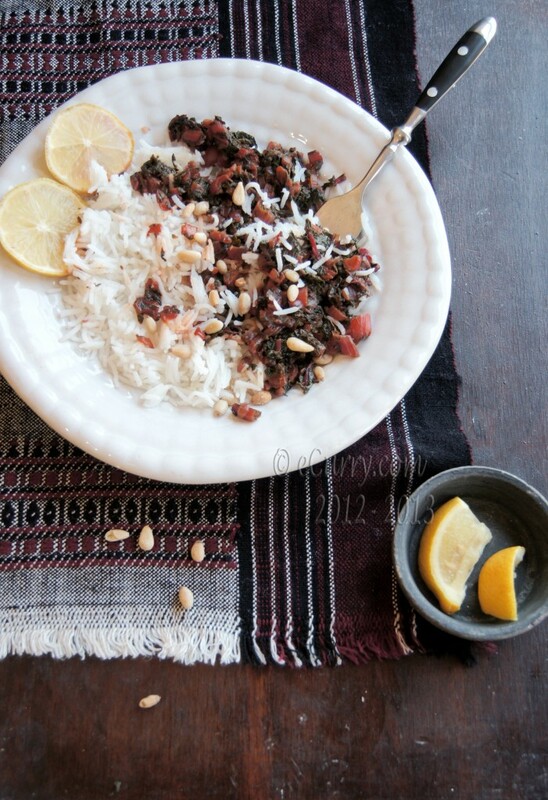 Hot steaming rice, slightly spiced greens sometimes with peanuts, sometimes with a sprinkle of fried bari, sometimes with brown chickpeas and many times just by itself. And there had to be a slice of fresh lemon to go with the Shaag Bhaja. 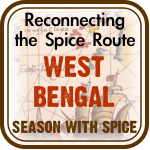 The entire experience feels incomplete without the aroma and the slight tart of the lemon – even now. While I find some greens here which I grew up eating, there are many that I crave for and miss. I have grown the red and green Amaranth at home for a few years. The red ones were not as red as back in India. Those used to be my favorite as they turned the white rice red or deep pink. It was a moment of magic I waited for. I giggled every time I saw the hue. What surprised me was when I heard T saying “more, more, more” after she had a spoonful of this sauteed chard. When I asked her what she liked about it, she said it was mostly the color. Then while she ate, I told her how when I was little like her, I would love it too, for the color. I have a warm feeling when I share my childhood with my children and I think they like to hear about it too. The joy comes in little things, and it proves that a thin thread of familiarity runs through different places and times. 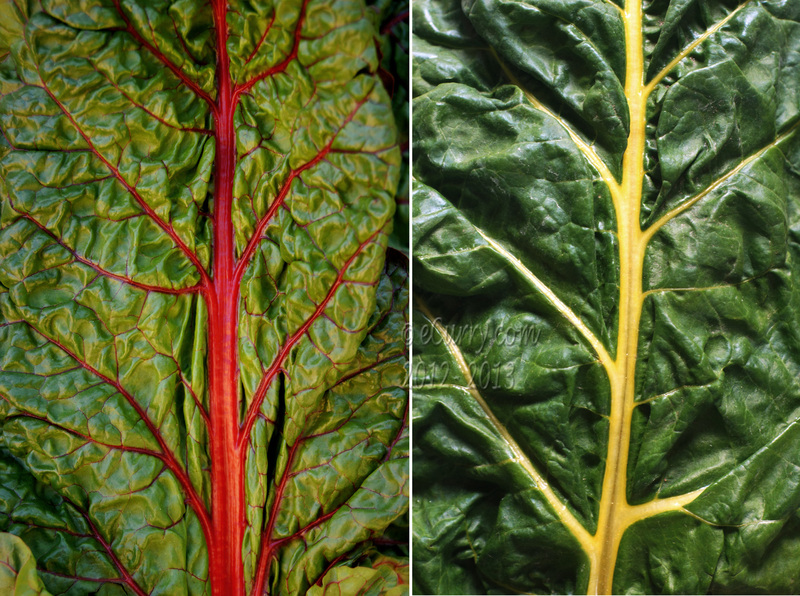 I find the chard tastes very similar to the red Amaranth or Laal Shaag ((or referred to as Red Spinach by some). 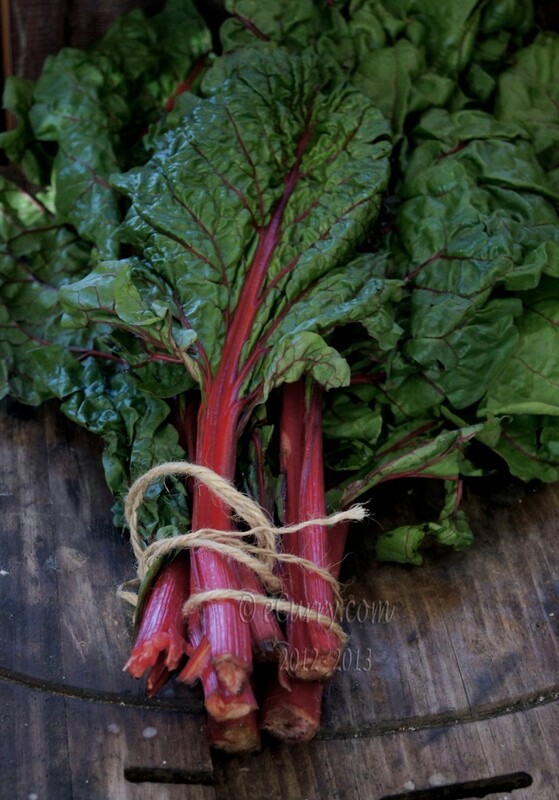 but the Red/Ruby Chard is really beautiful red and it retains the color even after being cooked. Pine nuts are not something we had access to when I was a child. Not in the small town I grew up and that makes me sound like I am prehistoric. That could be true. But I think they are lovely with the chard. So here it is, my version of the traditional. Wash the greens. 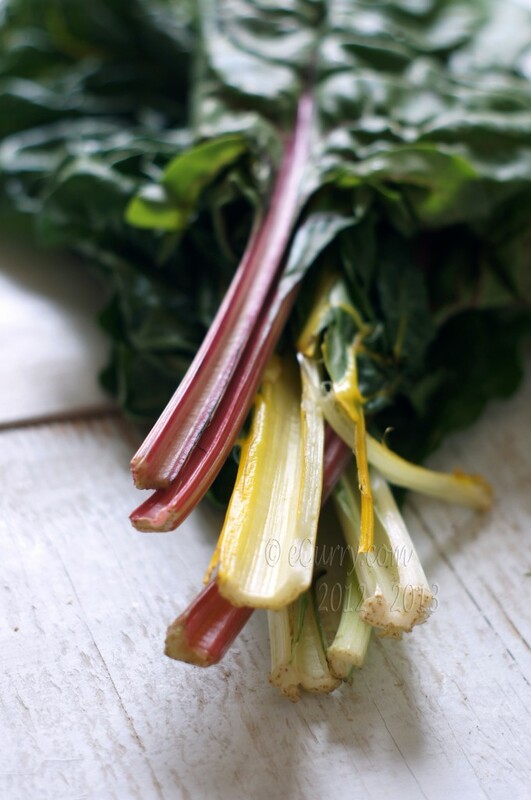 Take the chard leaves off the stalks and place one leaf over the other and then roll them up. Now slice them in fine ribbons. Slice the thick stalks into thinner strips and chop all stalks in small pieces. In the recipe I grew up with, the finer the greens where chopped the better it was. However if you would like yours bigger, please feel free to do so. Heat the oil in a large frying pan or wok. 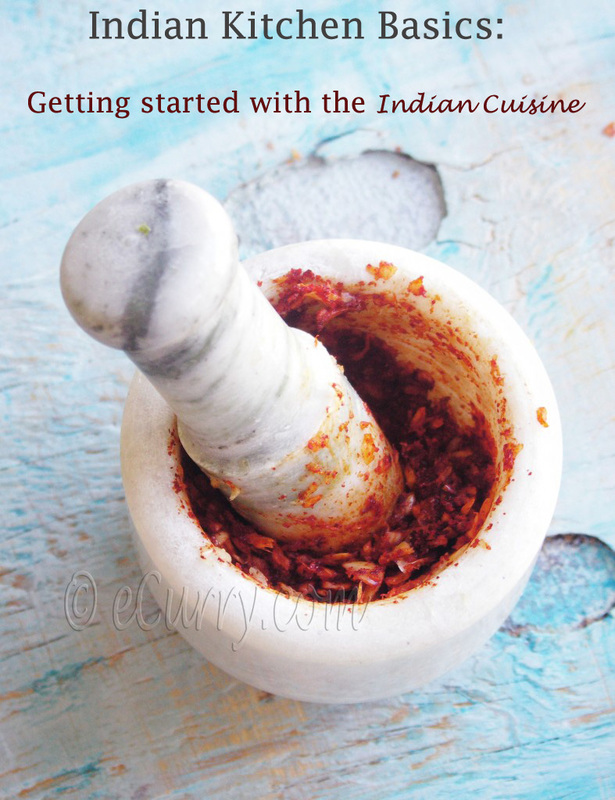 Add the cumin and the red dry chili pepper. When the cumin sizzles and the pepper turns really dark brown, add the garlic and the onions. Stir fry until the onions start to brown. Now add the the chard stalks and stir-fry for 3-4 minutes until starting to soften. Add the ribboned chard leaves and salt. Toss everything together and cover and cook for about 5-7 minutes until the leaves have turned really tender. Uncover and stir-fry at high heat for another 2-3 minutes until all the water (there will be quite a lot of water released from the greens while they were covered – you will not have added any extra water) has evaporated and the greens are all dry. Switch off the heat. Drizzle some fresh lemon juice. 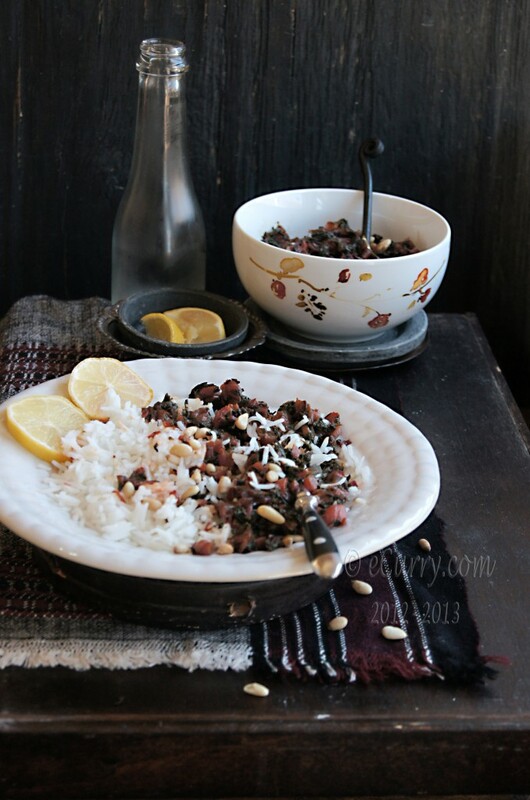 In a pan or a skillet lightly toast the pine nuts until they are golden brown. Sprinkle over the cooked greens before you are ready to serve. 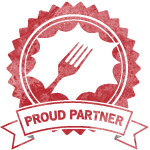 October 30th, 2012 | Category: Dry Fries, Sides & etc. Beautiful Soma. 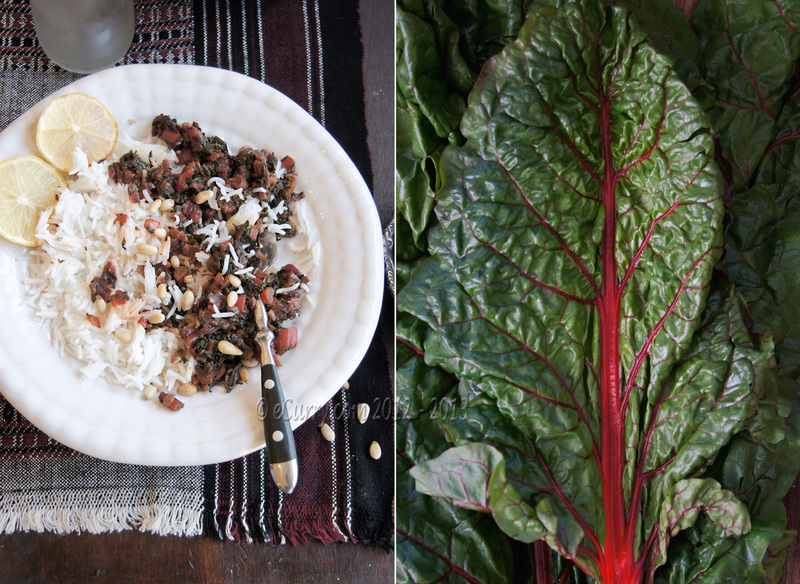 Greens are generally not photogenic, but your pictures are really good… and tempting. I should try adding pine nuts in future. A scrumptious dish. 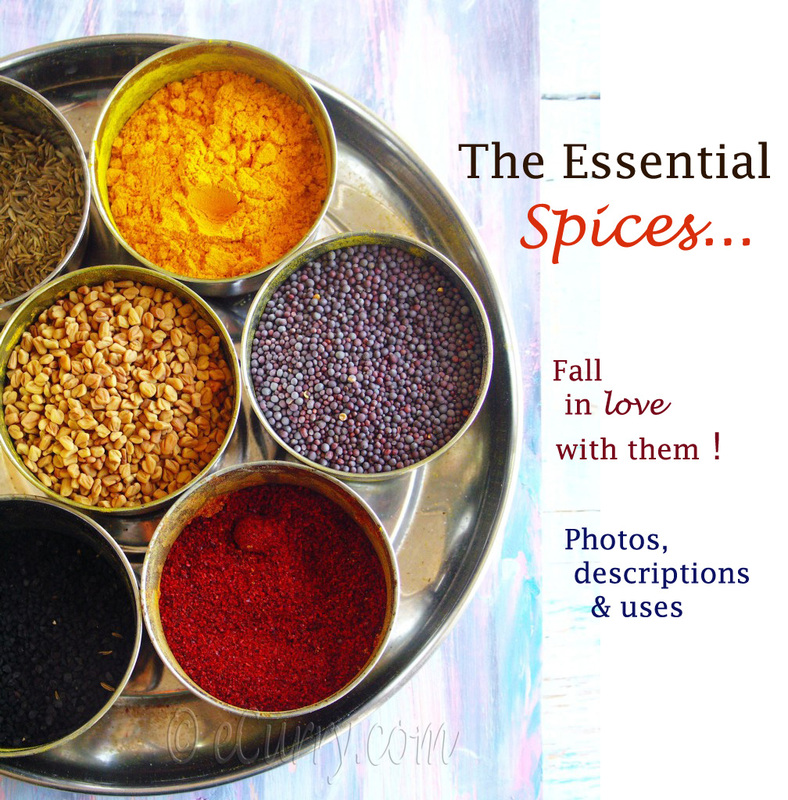 Exactly the kind of food I love to eat (healthy, vegetarian and flavorful). I think it is wise as you’ve done here to adjust to what’s available and be inspired by a dish of your childhood. 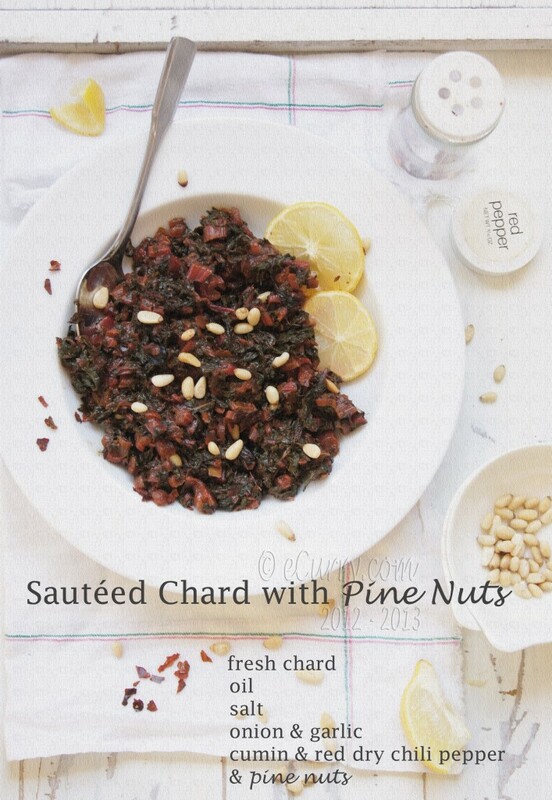 Love chard and the pine nuts add a great crunch! 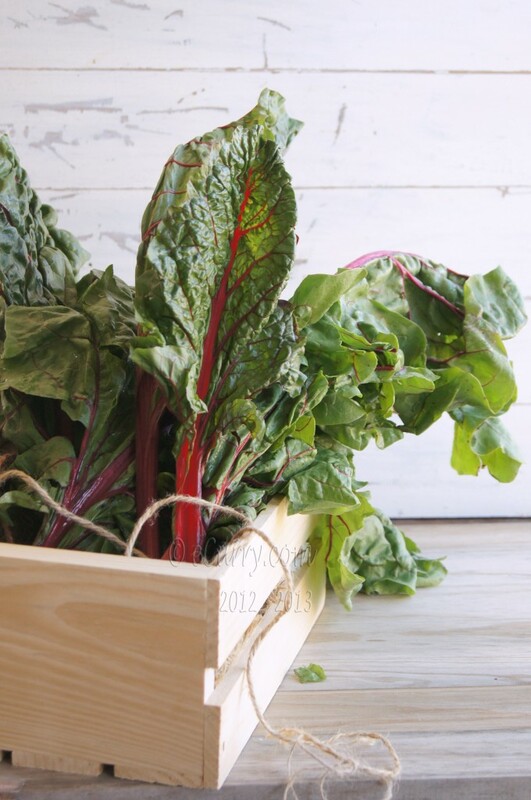 I’ve been wanting to try swiss chard and this looks like the perfect way to do it! I too loved the pink hues that resulted when the sauteed red leaf curry was mixed with curd. (I imagined they would make my lips red but that didn’t happen sadly). I am not sure whether the reddish leaves I like are the same as you have shown in the pic, though. This is quite a different preparation from the one I am used to. In Kerala, we ofcourse mix in plenty of grated coconut. I have to look for red chard and HAVE to make this. It’s been SO MANY YEARS since I last had laal shaag! Looks delicious & healthy. And easy! 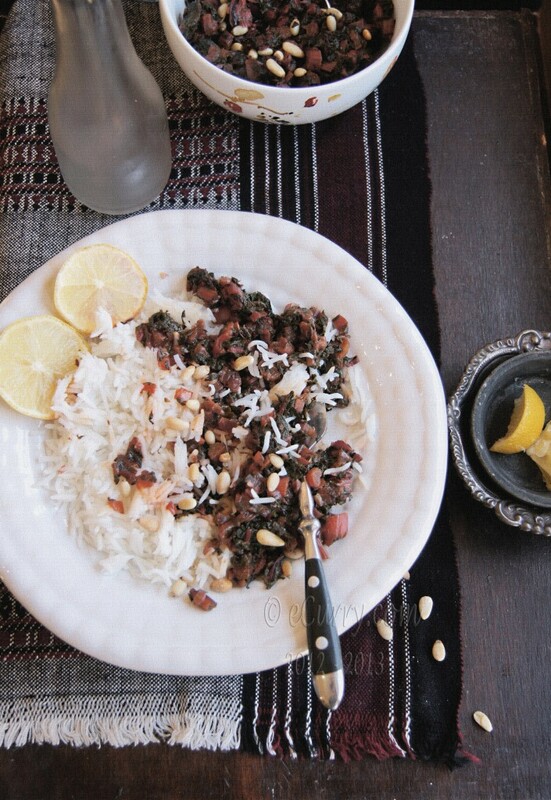 Oh I love the look of this and with the pine nuts its sure to be great. gorom bhaat aar shaak bhaja!! yummy…..
That looks pretty delicious Soma! Love the colors! Great… I have to search for these… Pui shaak – do you know what could be it’s variant? This is nothing close to Pui Shaak!!!! But very close in taste to our Notay shaak or Amaranth kind. BTW growing Pui Shaak is a breeze if you get hold of the ripe seeds from some place. They are like weeds. I’m just now discovering all the wonderful flavors of Indian dishes. I’m really looking forward to trying all your wonderful recipes! I love Indian cuisine. 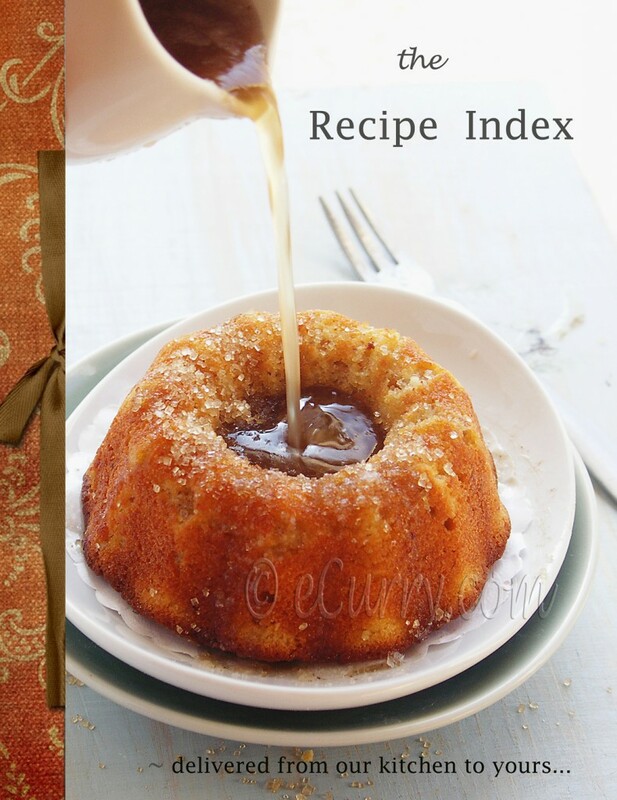 Thanks for this great recipe. I’ll try it tonight!